Native America, is a new four-part series, premiering at 8 p.m., Oct. 23, on the Oklahoma Educational Television Authority (OETA). Oklahoma audiences will get a sneak peek at 7 p.m. Oct. 9-10 at the Kerr Auditorium, Sam Noble Museum, located at 2401 Chautauqua Ave, Norman, Oklahoma. Native America weaves history and science with living Indigenous traditions. The series brings to life a land of massive cities connected by social networks spanning two continents, with unique and sophisticated systems of science, art and writing. One of the tribal nations examined in this series is the Comanche, now based in Lawton, Oklahoma. Two episodes will be screened per night, followed by a panel discussion that will include producer and director Gary Glassman; producer Julianna Brannum (Comanche); Amanda Cobb-Greetham (Chickasaw), Coca-Cola Professor of Native American Studies and chair of the Native American Studies Department; and Amanda Cuellar, graduate student of English. The events are free and open to the public. 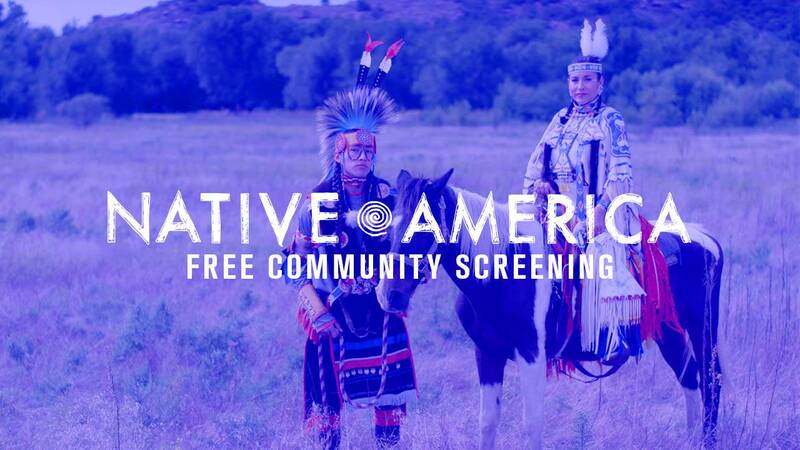 Native Crossroads Film Festival is sponsoring the event. Julianna Brannum, producer of the series, and Gary Glassman, executive producer and director of the series, will be on hand to answer questions, along with special guests University of Oklahoma faculty members Gabriela Rios, assistant professor of English and Raymond Orr, associate professor of Native American Studies. Official Trailer Native America explores the world created by America’s First Peoples.